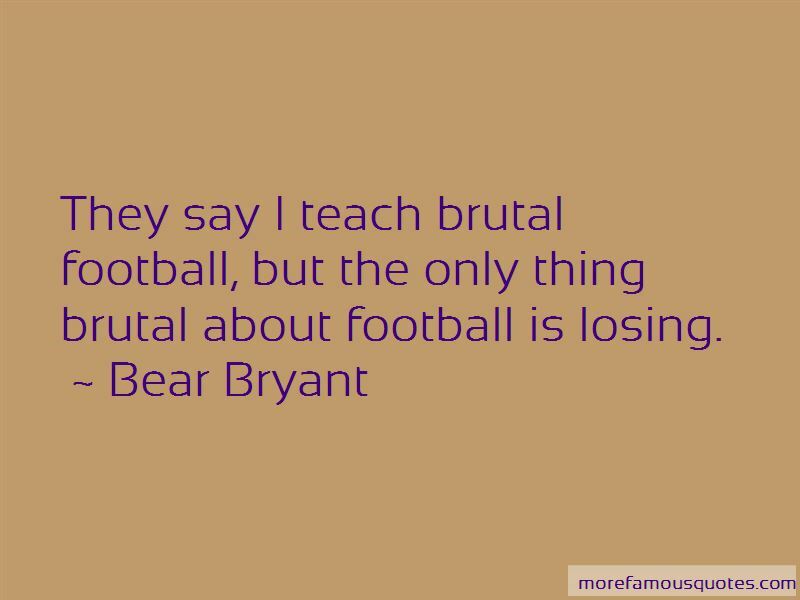 Enjoy the top 126 famous quotes, sayings and quotations by Bear Bryant. Nearly every coach I've talked with tells me that the attention you get from media and other people is the thing you miss most. I don't know if that's right. Don't ever give up on ability. 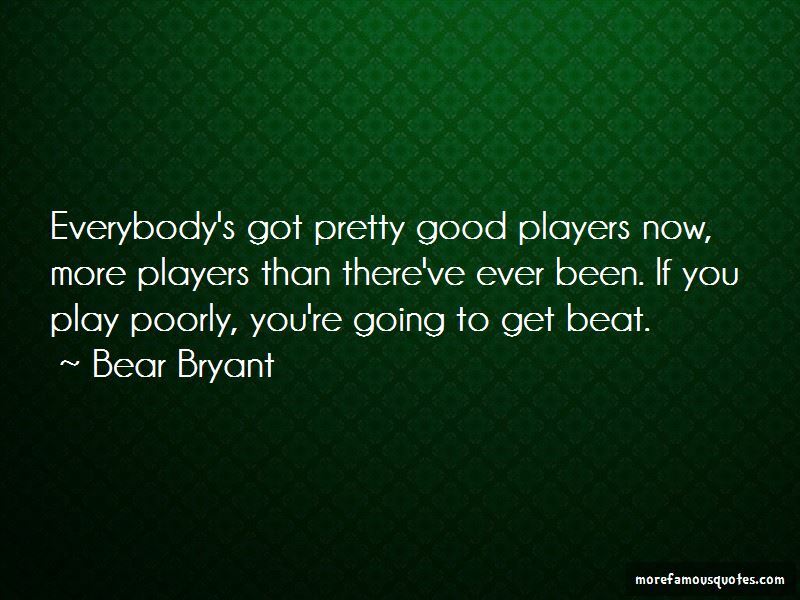 Don't give up on a player who has it. Don't give up. Reach down inside of you and you'll find something left. If you don't learn anything but self discipline, then athletics is worthwhile. 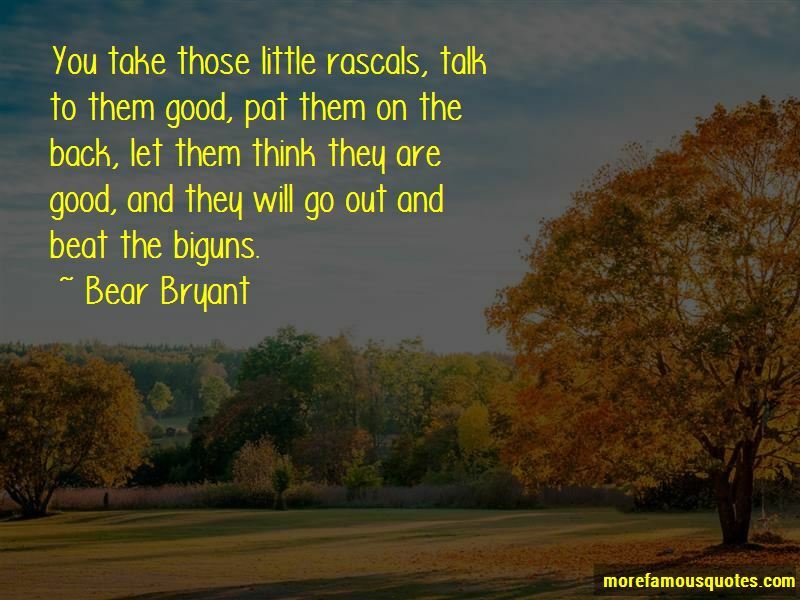 Want to see more pictures of Bear Bryant quotes? 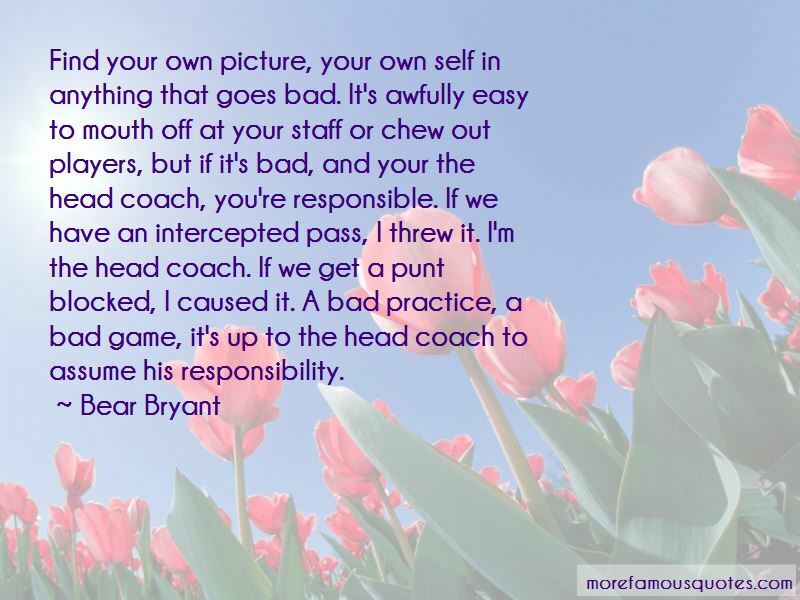 Click on image of Bear Bryant quotes to view full size.